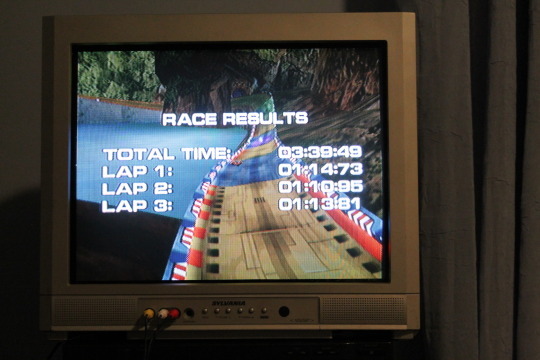 Get the fastest overall time on Hawaii Class 1. My Dreamcasts are all in boxes at the moment, but after I move I'll hop on this. lastcallgames wrote: My Dreamcasts are all in boxes at the moment, but after I move I'll hop on this. No excuses! Rip open those suckers! Dang i would do this but i don't have this game. Just bought 4 by 4 evolution though. Here's my first entry! This is one game I think I'm actually pretty good at as I've played through a lot of the Championship mode. There is room for improvement here though because I hit the wall a couple times. This is a very lonely competition so far. Competition extended another week. Let's see those entries people! I made slow but steady progress in each run I did. lastcallgames wrote: I made slow but steady progress in each run I did. Finally another entry! This game took me quite a bit of practice to get decent at it. It can get really fast if you keep going through the speed boosts so you need to really concentrate in order to not hit the walls. Tip: Keep grabbing the weapons (don't use them) until you get the Turbo Ram; this will give you a short burst of speed. Yeah, it's hard getting the thing to go over the speed pads (plus I don't have the manual with me), but I did figure out the Turbo Ram.